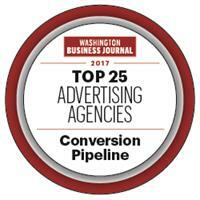 Conversion Pipeline is an award winning digital marketing agency. We are a Premier Google Partner and our leadership members are all Google Certified. Combined with our team of expert developers and web designers, Conversion Pipeline is a powerhouse digital marketing agency with expertise in search engine optimization, website design, pay per click advertising, social media marketing, content and email marketing.